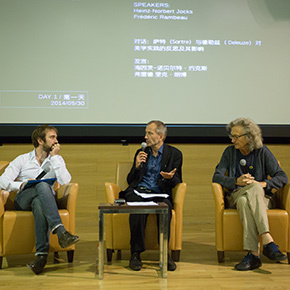 “The Collective Eye” Symposium - The “Utopian Surplus” of the Collective successfully ended, in addition, on June 1, it held the final session of “The Collective Eye”, on the “Cultural Differences in Global Times”. 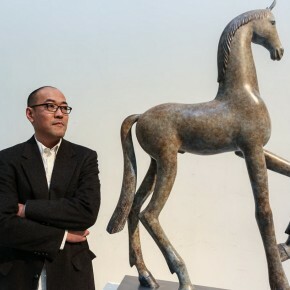 It coincided with the annual meeting of celebrating the 101st anniversary of American Artists Association in New York, and nearly 100 people participated in the discussion. 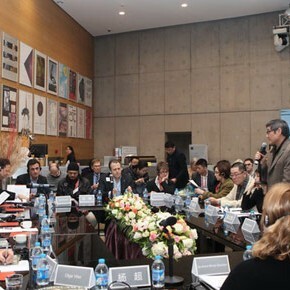 There were 15 directors of art museums from the US and 16 directors of art museums from China participating the Summit Dialogue and the in-depth discussions. 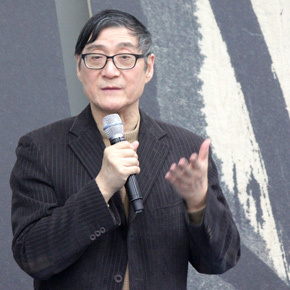 Prof. Peng Feng presided over the lecture and invited Pan Gongkai, President of the Central Academy of Fine Arts, and Cliff Ross, an American artist to discuss their artistic creation. 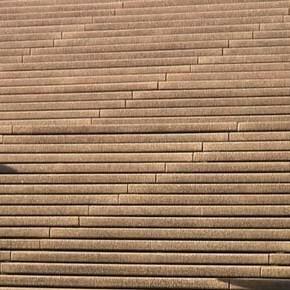 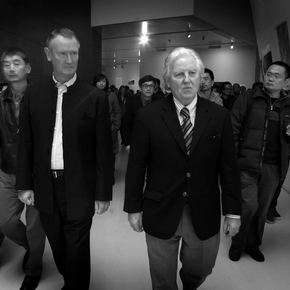 Hosted by the School of Plastic Arts, CAFA, “Dialogue” was held at the Lecture Hall of CAFA Art Museum, at 2pm November 1st, 2012. 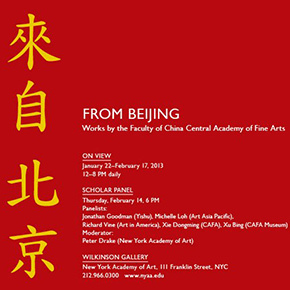 Representatives from different internationally renowned colleges of art also brought outstanding work by recent students to this seminar, which directly represent their separate ideals in art education.